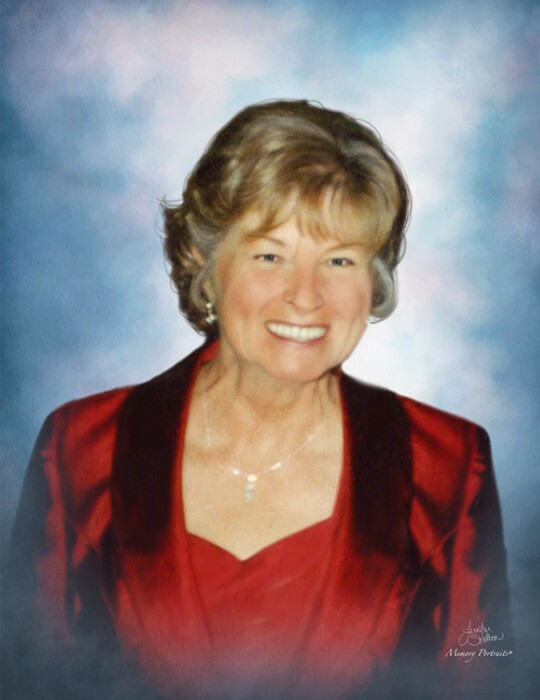 Johan Lavery, beloved wife for 48 years to Bruce Lavery, passed away peacefully on Saturday, March 23, 2019 at home in Manchester with her family by her side. She was 73 years old. Johan was born in Waterville, ME to the late William (Hoppy) and Eudora Peters. She spent her childhood in Maine and then moved with her family to Middletown, CT where she was a member of the graduating class from Woodrow Wilson High School in 1963. Johan married Bruce in April of 1970, at which time they moved to Manchester and she resided for the rest of her life. Johan worked for over 20 years as an Administrative Assistant at New England Mechanical Services Inc. in Vernon. In her free time, she enjoyed traveling – especially to Europe. She always looked forward to spending the summer at Bow Lake, NH and visiting with friends and family. She especially loved spending time with her two grandsons. Johan was an avid UCONN Women’s Basketball fan and would stop everything to watch the games. She liked to pass the time doing crosswords and solving Soduku puzzles. She volunteered her time for many different organizations that were close to her heart, including M.A.R.C., Relay for Life, Making Strides, and the Manchester Girls Scouts. She was a communicant, Eucharistic Minister, and past advisor for the Children’s Youth Organization at St. Teresa of Calcutta Parish-St. Bridget’s Church. In addition to her husband, Johan is survived by her son Matthew Lavery of Hackettstown, NJ and her daughter Heather Hayes, husband Kevin, and their two sons Keagan and Logan. She is also survived by her sister, Bonnie DeGray, her nephew Billy, her niece Cindy, and her sister-in-law MJ Terry. The family would like to extend a very special thank you to the ECHN Visiting Nurses, the Hospice nurses, and to Dr. Reale and the entire staff at the DeQuattro Center for their help and support throughout this difficult time. Please join us for a Memorial Mass that will be celebrated on Saturday, April 6that 10 AM at St. Teresa of Calcutta Parish-St. Bridget Church, 80 Main Street, Manchester. There will be no calling hours, but will be a reception to follow. Holmes-Watkins Funeral Home, Manchester, is in care of her arrangements. In lieu of flowers, memorial donations in Johan’s name may be made to the American Cancer Society (Manchester North Unit), 825 Brook Street, I-91 Tech Center, Rocky Hill, CT 06067 or to the ECHN Visiting Nurse and Health Services Inc. North Central Hospice, 8 Keynote Drive, Vernon, CT 06066. To leave an online message of condolence for her family, please visit www.holmeswatkins.com.